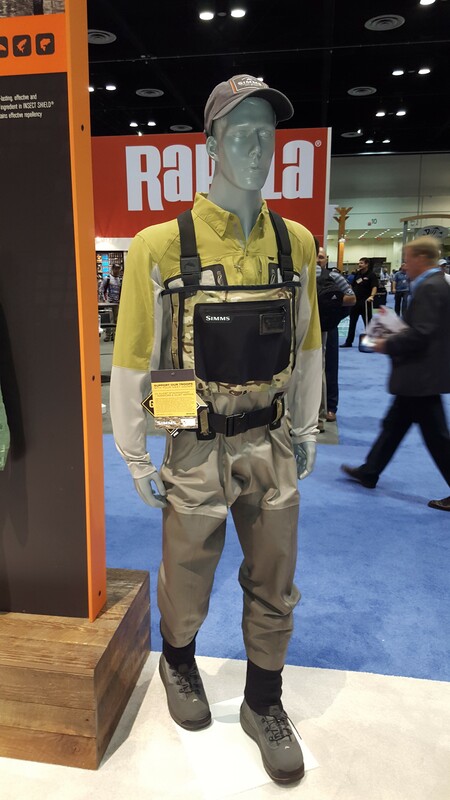 The mens apparel at this year’s ICAST was out in abundance with so many great new looks and new features, it was hard to see everything. Lets take a look at some of the mens apparel that stood out this year. Columbia Sportswear introduced the new OutDry Extreme technology at this year’s ICAST. 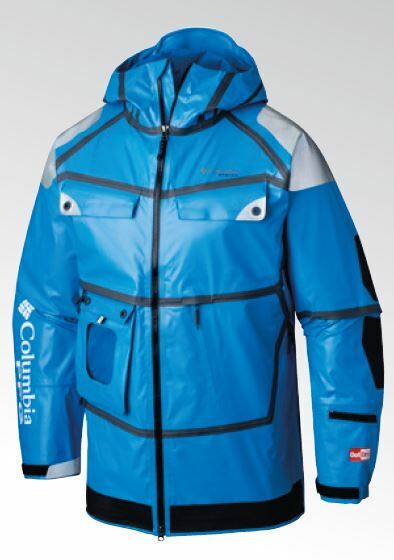 It is the ultimate waterproof breathable solution for extreme conditions. 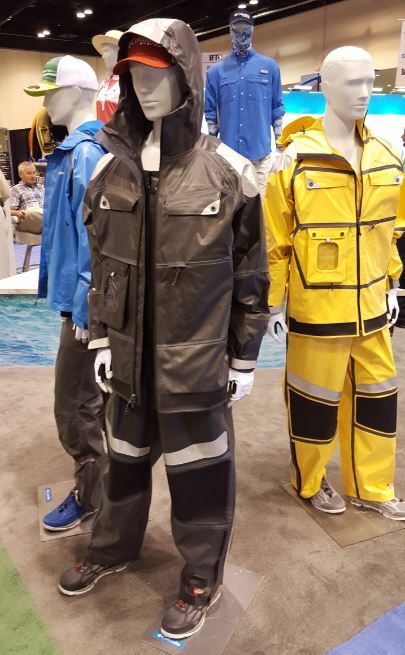 Available in both jacket and pant, it is waterproof with a breathable wicking fabric next to the skin, providing not only functionality, but ultimate comfort. There is no denying this is the must have for any outdoorsman that will be facing extreme weather conditions. At first look, I thought this would be heavy and wouldn’t allow great movement, but after being able to study it, it is surprisingly lightweight and breathable. 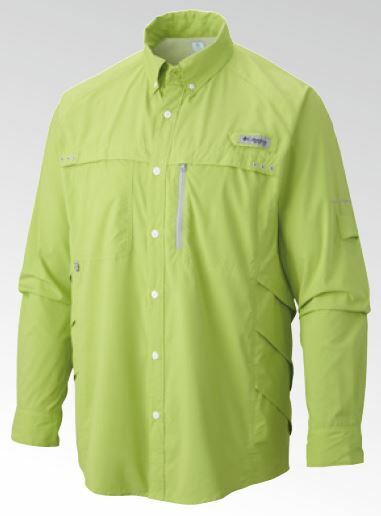 Completely waterproof and many great features like the reflective panels and the window pocket (that is perfect for your smartphone) that can be repositioned to different areas on the jacket- make this some of the best weather gear on the market. The Solar Drag shirt is incredibly lightweight and extremely comfortable. 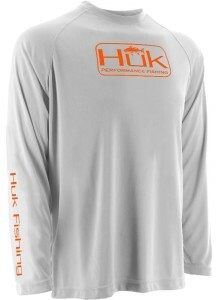 With all the features you want from a performance shirt: sun protection, quick dry, cooling technology, comfort. Columbia has also added a reflective strip along the chest, which really shine in the sun or as you can see, from the flash of my camera. Perfect option for a day on the water. 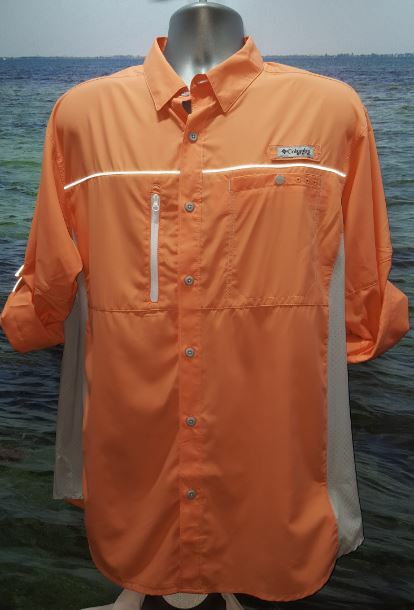 We are loving the new side paneling/venting on the 2016 Columbia line, like seen here on the Airgill Solar Zero shirt. 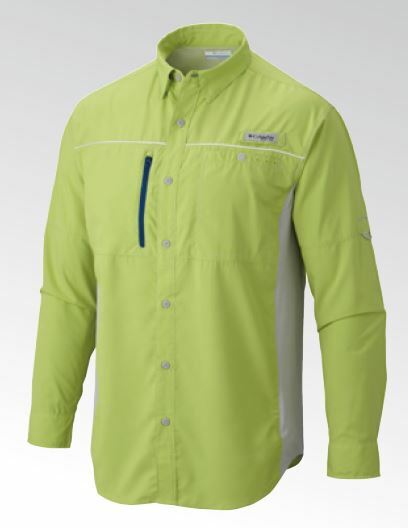 Just that little extra airflow and breathability can make all the difference. We also get a nice new feature of a sunglass cloth built in, which is very convenient to have. Very impressed with this shirt. 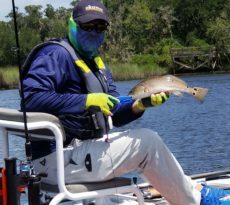 The Sunshade Hoody not only looks great, it has an incredible feel and functionality. A big trend this year has been the addition of the hoody to performance shirt, and Patagonia is right on with this one. With a left chest zipper pocket, UPF 25 sun protection and the thumbholes on the sleeves, this is a great piece of apparel for any angler. Add in the Vest Front Sling (which has a full pack on the back- not shown) and this would be perfect for out on the SUP or wade fishing when storage usually wants to be kept minimal. 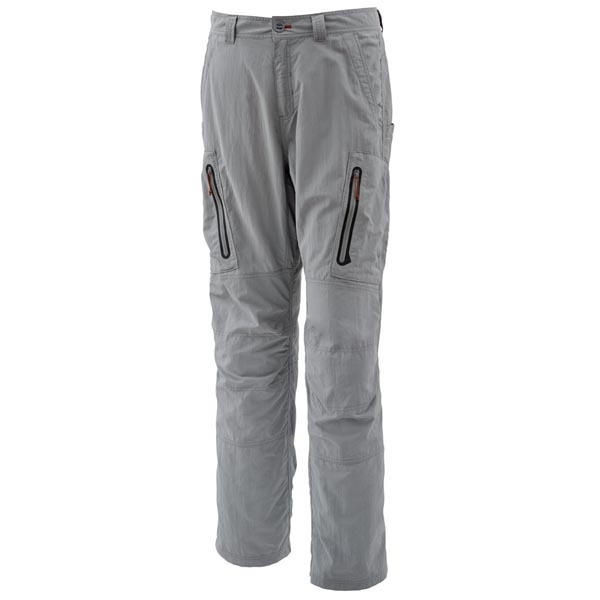 The Guidewater II Pant is one of the most comfortable looking performance pant I have seen. 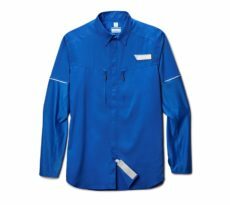 Incredibly lightweight, with water repellant technology, and UPF 50+ sun protection- the Guidewater delivers on many levels. 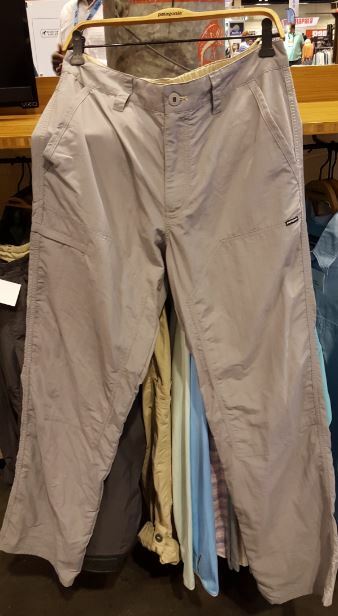 With zip offs being the popular choice right now, you will not miss it with these pants. 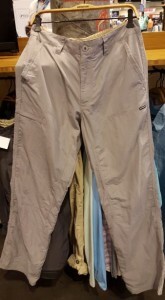 With their superior breathability and water repellency, you will not have the need to convert to a short. Perfect all day pant. Regular Fit- Sizes XS-XXL available. 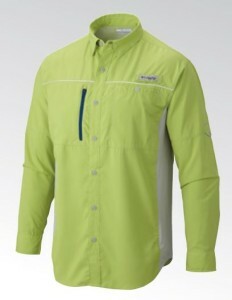 It has a traditional performance feel, being light and breathable. 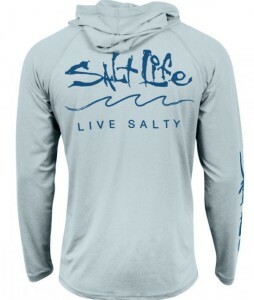 It is made of a durable Poly knit with a little spandex and moisture wicking technology to keep you cool and comfortable, and with an added stain repellant to keep the stains away, this long sleeve raglan crew neck has all you need. The cooling technology works to keep you comfortable under the sun with SPF to keep you protected. With a $34.99 retail, this is an great performance item that is affordable to any angler. Bass logo is also available. One word…Comfortable. 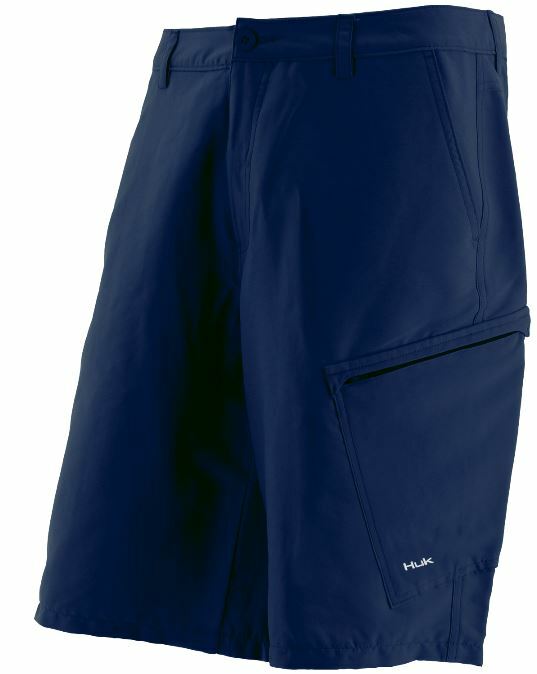 The Hybrid short is a combination board short and button fly short. They use quick dry stretch woven with dual pockets on the sides as well as zip cargo and rear pockets. 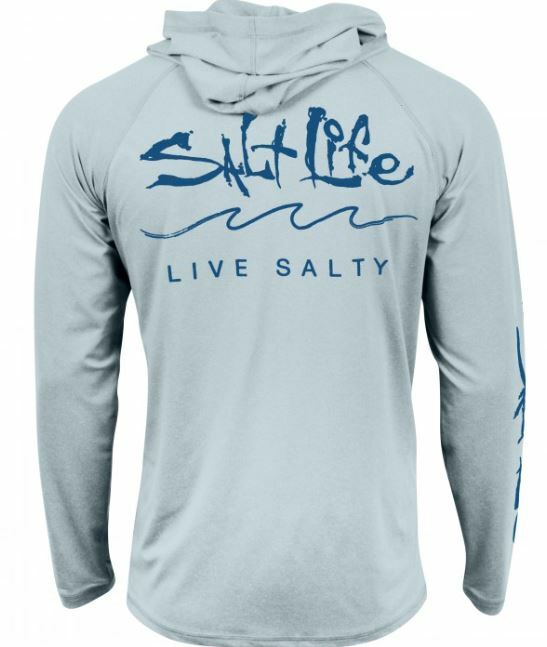 SPF protection, stain release, and anti-microbial technologies make this short great for all day wear on or off the water. 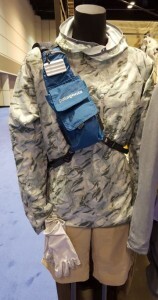 This fishing pant immediately caught my eye while attending the Simms Fishing booth at iCast. 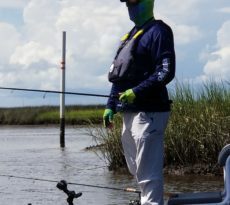 Active Anglers: Where are they?